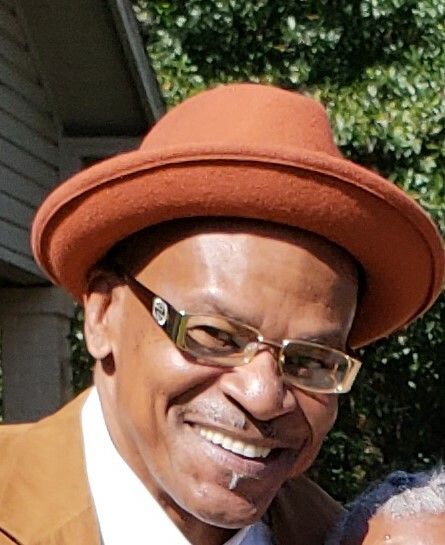 Obituary for Purnell Maultsby Jr. | Newman Mortuary, Inc.
Ozark.... Purnell Maultsby Jr. passed January 30th 2019 at Southeast Health Medical Center, he was 61. God saw that the road was getting rough, that the hills were too hard to climb. On January 30, 2019. He gently closed those loving eyes, and whispered, “Peace Be Thine”. Mr. Purnell Maultsby Jr. was born on November 11, 1957, in Newark, New Jersey. He graduated from Lakeland Senior High School in 1975. He was a skilled welder and carpenter. He was currently employed at the Hampton Inn in Ozark, Al as a maintenance engineer. He had a way of making a dull moment come to life, no matter how angry you were, he was going to crack a joke and make you laugh. He said "I never get mad, a dog gets mad, I get angry". (Jacksonville, Fl. ); Damarri Mathis and Demetrius Morris (Lakeland, Fl. ); Like a grandson, John Foster (Ozark, Al.) One sister, Mellinee (Marvin) Eutsey; Three brothers; Miron Maultsby, Wallace Bernard (Angela) Maultsby all of Ozark, AL; Donnie (Diann) Foster (Lakeland, Fl.) One Uncle, James (Louise) Champion (Newark, NJ). He also leaves a cherished, loving, and caring friend of 40 years, Danna Everett (Lakeland, Fl.) Also, a loving, caring, and dedicated friend Willie Dean Rogers, Ozark, Al. A treasured nephew; Marcell Holloman (Lakeland, Fl.) Along with a host of nieces, nephews, cousins and friends.